Access one of U.S.A’s largest real estate databases. 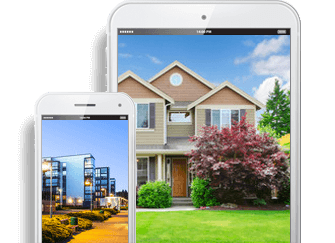 Our mission is to bring the latest real estate and property record data to the consumer in the easiest way possible. We created a service to help anyone who is buying or selling a home get the data they need in order to make an informed decision on a new home. The real estate industry is ever changing, and access to the latest data for a particular property is what we strive to provide. We’ve created this service by compiling data from many different sources, then create on the fly reports with helpful ways to interpret the data. On the go? Or see a property you’re interested in while driving by? You can always search our database from your phone or tablet at any time. Try on your mobile device today! Nearly 70% of all occupied housing units are being occupied by the owner in the United States. With over 300 million people you can imagine the amount of data available to the public. Home reports has built relationships with public and private data providers to ensure you collect the most up to date and valuable information. The most comprehensive property database online. USRealtyRecords.com is an all-in-one home reporting and property information provider. This is the perfect tool for anyone looking to buy, sell, or move! Copyright © 2019 P3C LLC DBA USRealtyRecords.com.